As a resident of coastal Connecticut and a seabird lover, I care about the health of our coastal areas and marine environment. Seabirds need healthy coastal habitat and an abundance of fish to thrive, which fortunately also helps drive Connecticut’s economy. In the United States, the ocean and coastal recreation economy is booming. A NOAA survey found that almost 49 million adults participate in ocean and coastal recreation and spend over $141 billion in ocean recreation-related goods and services. That spending supports more than 3.1 million jobs, $409 billion in business income and $135 billion in household incomes. 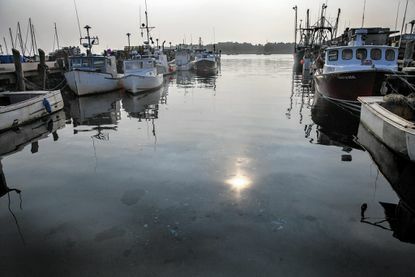 The local economy in Connecticut also greatly benefits from healthy oceans and coasts. Recreational services along the Long Island Sound, such as fishing and bird watching, rely on vibrant ecosystems that support a diversity of fish, birds and other marine life. We need to ensure that these ecosystems will remain vibrant in the face of climate change. By doing so, we can sustain profits from coastal recreation into the future. If we ignore the economic risk of climate change, we threaten the health of seabirds and their ecosystems as well as the nearly 52,000 jobs and $3.6 billion in GDP that make up Connecticut’s clean coast economy. Our members of Congress can and should prioritize ocean-related climate adaptation and mitigation measures to promote healthy ocean and coastal ecosystems that will help safeguard against the impacts of climate change and ocean acidification. These include funding the restoration of coastal habitats that provide a buffer from storms and sea level rise, stopping offshore drilling, protecting marine sanctuaries and monuments and ensuring our fisheries are sustainably managed. Already, champions like Connecticut Sens. Richard Blumenthal and Chris Murphy are working to protect the ocean, address climate change and ensure that the communities and industries that depend on healthy oceans and coasts can continue to thrive. Both senators support legislation to maintain the Northeast Canyons & Seamounts Marine National Monument, a biodiversity hot spot that provides refuge for Atlantic puffins and other marine species facing stressors associated with climate change and ocean acidification. I’m proud to have senators like Blumenthal and Murphy leading the way on protecting our oceans and coasts, and I appreciate their recognition that that fight against climate change will require a wide range of actions. For example, last year, the Coastal Resilience Fund supported nearly $30 million of grants for the restoration or expansion of coastal marshes and wetlands, dune and beach systems, oyster and coral reefs, mangroves, forests, coastal rivers and barrier islands. These projects will help minimize the impacts of storms, rising sea levels and other extreme events on coastal communities and infrastructure around the country while also restoring habitat important to coastal birds. This year, the fund will expire — unless Congress acts. We need to reauthorize and expand the Coastal Resilience Fund to meet the demand for many more projects, including projects here in Connecticut. We are fortunate to have leaders in Connecticut standing up for our oceans and coasts. I’m encouraged to see that Sen. Blumenthal has already joined Rhode Island Sen. Sheldon Whitehouse this year in championing the extension of and new resources for the Coastal Resilience Fund. In the fight against climate change, we need to use every tool available to protect our coasts, our communities, and our way of life. With leaders like Blumenthal and Murphy, I am confident that our state will pioneer innovative solutions to our changing coastal areas and marine environment. Leslie Kane is the managing director for Audubon Connecticut and president of the Southbury Land Trust.